Whether you build a new house, buy an older house, or rent a place, you will need to have some basic tools. For the least handy among us, a toolbox may be sufficient. 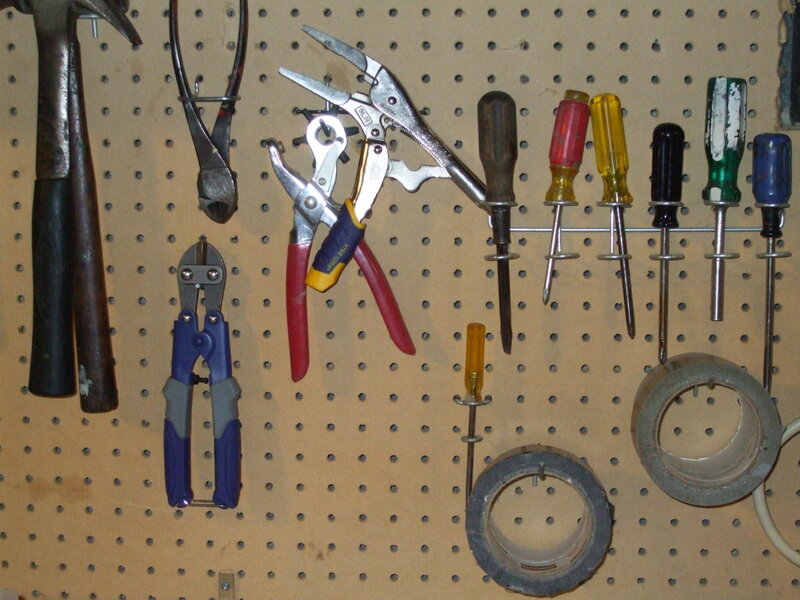 However, most of us not only need a place to store our tools but an area to work as well. 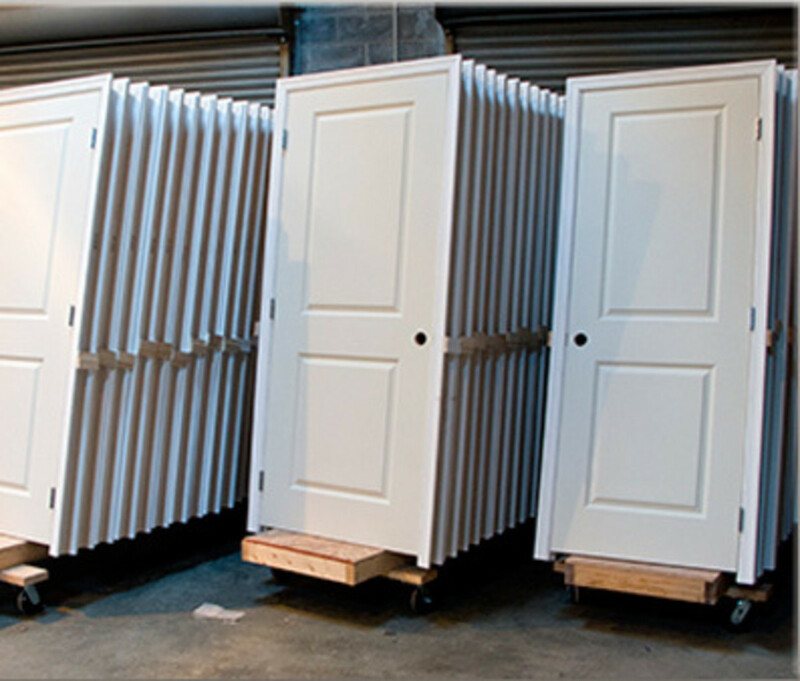 The two most common areas to build a workshop are in the garage and in the basement. I prefer the garage because you do not have to carry your project supplies through the house. 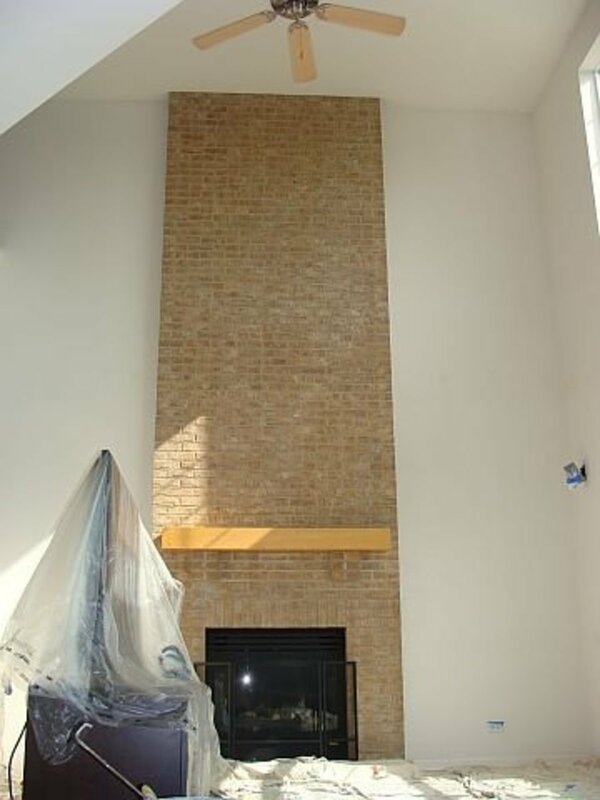 In addition, you will not be adding all of that sawdust to the air in your house. Another benefit to using the garage is the ability to open the garage door to let in fresh air. One draw back is that most garages are not temperature controlled. There are several decisions that need to be made before you develop your plans for a workshop. Are you planning to park any cars in the garage? Is there enough room to build a permanent work area? How much storage do I need for tools? Scrap wood? 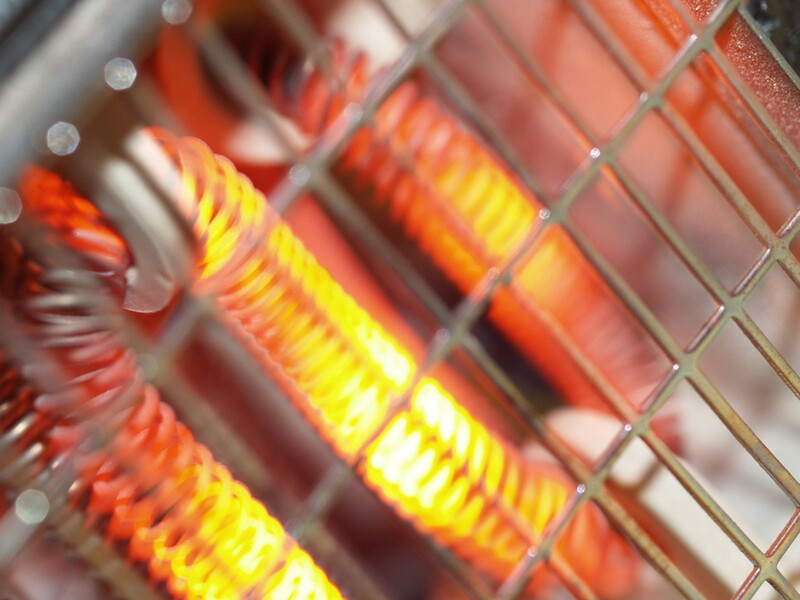 Do you need run a new electrical circuit? Do you need to add more outlets? Do you need to add more lighting? Answering these questions will allow you to develop the right plan for your workshop. Also, it will help you to determine the cost of building your workshop. Remember, the most important part of designing a workshop is to make it as functional as possible. Another tip that I would add is to make sure that you have enough workshop storage. There is nothing worse than a messy workshop that has to be cleaned up before it can be used. For a one car garage or garages that do not have a lot of extra room, I would suggest making your workshop as mobile as possible. Purchase at least two folding tables that can be set up when you want to work and fold down flat when they are not in use. 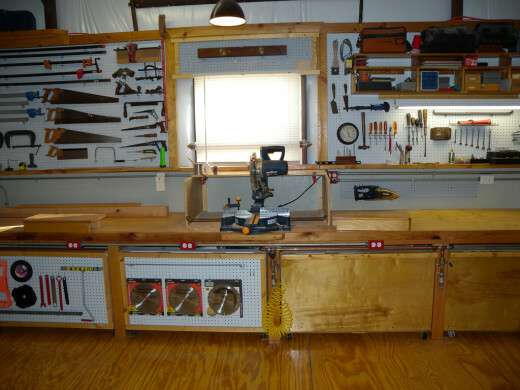 You can also build a folding workbench that hangs on the wall and swings out on hinges when you want to use it. Another good idea is to put your tools on carts that can be pulled out when needed and pushed back to store. 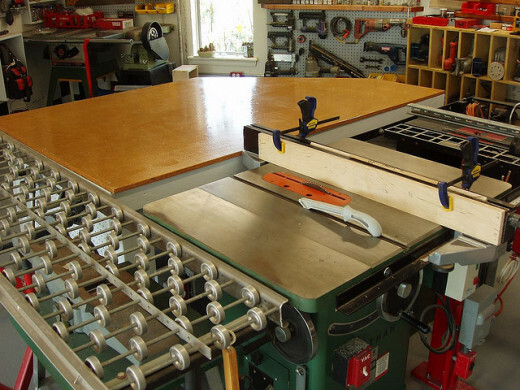 For permanent areas, measure the space that you plan to use for your workshop. Draw your workshop design plans on a piece of graph paper or use an Excel (or another spreadsheet program) to make your own graph paper. You can also draw out your plans in Excel if you are comfortable using the drawing tools. Be sure to include enough countertop area that you can. I suggest building two workbench areas. You can either frame out and build a workbench on your own or pickup unfinished bathroom or kitchen cabinets to make your workbenches out of. 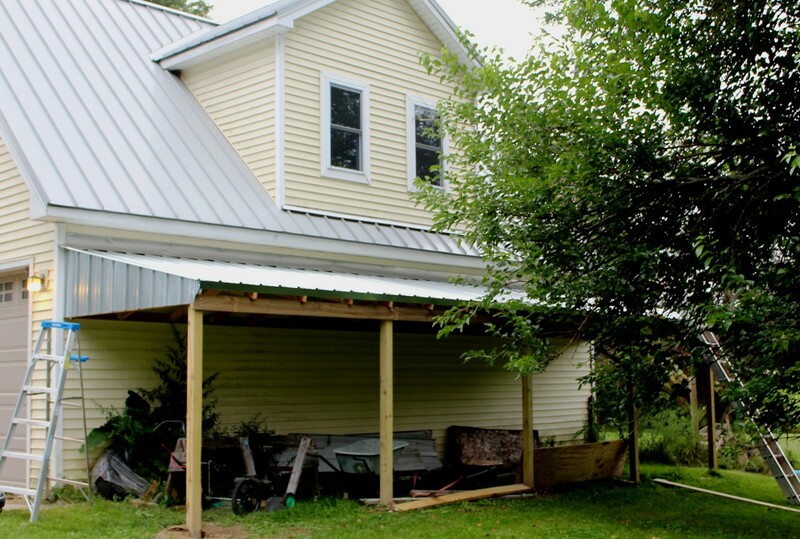 The top of the work area should be constructed of at least ½ inch MBF or plywood. I know that this is a big list and may take several years or more to acquire all of these tools. This is an ideal list, you can manage with basic tools, but these tools make life a lot easier. I am still saving to purchase a joiner and a plainer. I built my workshop over several years in the third bay of our garage. My dad and brother helped me run a new circuit and a few new electrical outlets in the third bay. On the back wall, I bought five floor cabinets and put them up against each other and the wall. I fastened a ½ inch plywood top to the cabinets. On the other, longer wall, I built a workbench from plans that I saw in a magazine that includes a shelf that allows my chop saw to sit flush with the workbench top. Underneath I build another shelf to store scrap wood and a few tools. I hung pegboard on each wall over the workbenches to increase the storage space. I have two folding tables that I use in the middle of the other two bays when I need the extra working space. For extra lighting, I added two clip-on lamps at the top of the pegboard, one for each workbench. I also installed an infrared heater with a halogen lamp over the area that I work at the most. Of course, I had to add a TV and a radio to make the workshop even more functional. 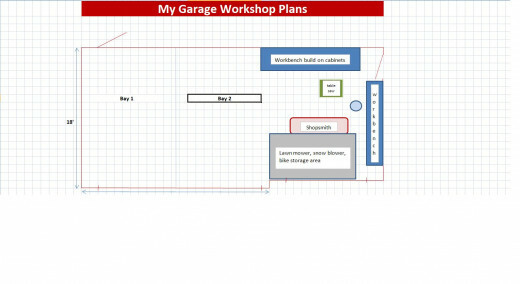 A garage is a great place for a workshop. There are unlimited workshop ideas to choose from. 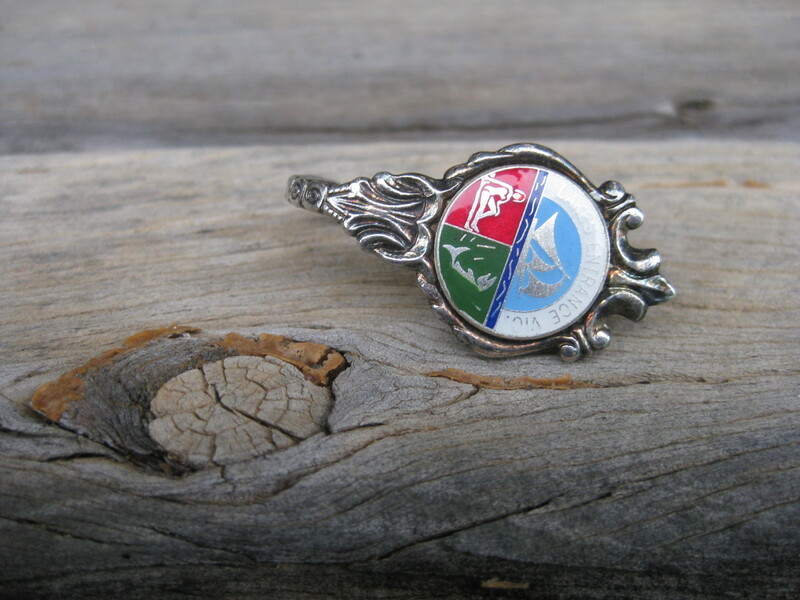 Check out what others have done and combine any ideas that you like with your own. Build your workshop to fit your needs and style. Should You Leave Your Job to Increase Your Salary? 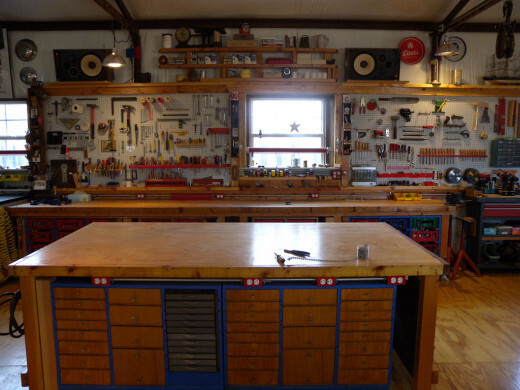 I love the idea of having a dedicated workspace, and have always admired the workshops I've seen in neighbors' and friends' garages and sheds. Perhaps I'll have one of my own someday.... sigh! Excellent. Since it was once my business, I have all these tools, and this is a great Hub!